Lydia Noon speaks to people who live in Gaza with Israel’s 10 year blockade. A father and his two daughters were three of the first Palestinians to have injuries after Gaza’s electricity problem this year 2017. The girls lit a candle to do their homework. 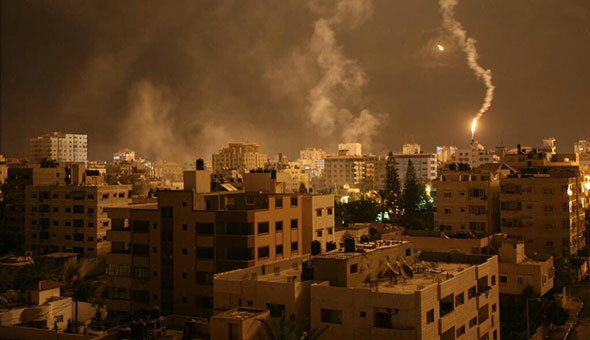 It started a fire in their apartment in Gaza City on 2 January. They had burns. Abu Ahmed from Gaza wrote to me at night, ‘At least five children burned to death and many more had injuries in the last few years. There will be more problems with candles in the winter with 20-hour blackouts in the crowded Gaza Strip.’ As the temperatures fall at night, the number of hours of electricity falls. Two million Palestinians lived on three to four hours of electricity per day for the last two months. Most families use LED lights, batteries, and candles. Expensive generators and car batteries help some families and businesses. Only a few rich people have solar panels. The power cuts are a danger for Gaza’s hospitals. Incubators, ventilators, and other life-saving equipment have power from industrial generators but fuel and money is running out. And generators only give emergency electricity but not for hours, days, and months. Israel has had a military blockade on Gaza for 10 years. This is why Gaza has a problem with electricity. The Gaza Strip has one power plant. Israel attacked the power plant many times from the air after the start of the blockade. And it stopped working many times because there was no fuel. 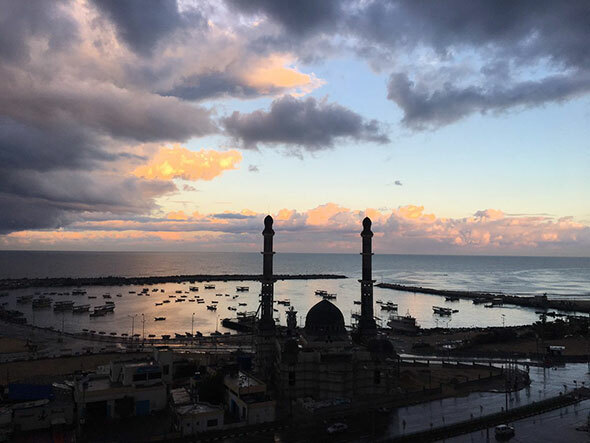 Egyptian and Israeli electricity grids give Gaza some of its electricity but it is difficult for the two countries to import fuel since the blockade began in 2007. The Egyptians and Israelis destroyed most of the tunnels between Gaza and Egypt in the past few years, So it is not possible to smuggle in cheap fuel and other necessary things. A thousand families are still living in caravans and tents two and a half years after Israel’s 50-days of bombing in July-August 2014. The attack killed 2,251 Palestinians and 72 Israelis, and destroyed 70 per cent of Gaza’s infrastructure. The attack destroyed 20,000 homes and forced 100,000 people to live in shacks, schools, relatives’ homes, rented accommodation or in their dangerously damaged homes. Some families are still living in tents next to their destroyed houses because they are afraid that if they leave, someone will take their land – the only thing they have. Shawa says that the blockade made it difficult to get construction materials into the Gaza Strip. Money is a problem for the Palestinians with no homes. The ‘Reconstructing Gaza’ conference in Cairo in October 2014, promised $3.5 billion to help. But the UN Relief and Works Agency (UNRWA) and Aidwatch say that the Palestinians have only $1.6 billion so far. More media interest in other parts of the region such as Syria and Iraq means there is less pressure for the countries to do what they promised. Some say that the disagreements between the Palestinian Authority in the West Bank and the Hamas party in the Gaza Strip are making it difficult to give the money to help. But Rebecca Vilkomerson, director of the Jewish Voice for Peace, says the Israeli blockade is the real problem. June 2017 is the 10th anniversary of Israel’s military blockade on Gaza. Palestinians living in the 25-mile long Gaza Strip have had restricted movement since the early 1990s. But when Hamas came to power in June 2007, Israel started a land, sea and air blockade. Many Gazans say the blockade is like living in the world’s biggest prison. Two million people cannot go to other parts of Palestine or the rest of the world. After the start of the blockade, Egypt also restricted movement when it closed the Rafah crossing into Egypt for days and weeks. It is the only way in and out of Gaza. The new year does not give hope to Gazans. ‘We are forgotten here, but we are desperate’, says 24-year-old Rana on WhatsApp. ‘Most people cannot have a medical permit to leave Gaza for urgent treatment’. Shawa feels the same. ‘I see no hope’, he writes. ‘We are totally locked in by Israel; they control everyone and everything that leaves or enters Gaza – people, food, medication, and everything. And Egypt has locked us in from their side.’ The UN agrees. 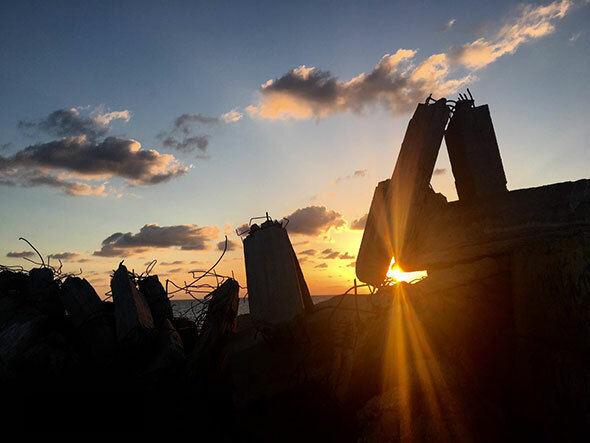 In 2015, a report from the United Nations Conference on Trade and Development said that because of the economic and military blockade, it may be impossible for people to live in Gaza by 2020. Now, as 2020 comes nearer, Gazans don’t have enough drinking water, shelter, physical and mental health, or jobs. Only 10 per cent of Palestinians in Gaza have safe drinking water. The World Bank says that, if Israel does not give the OK to desalination and waste water plants for Gaza by 2020, it will not be possible to help the water problem. Now, Gaza’s poorest people drink salty and dirty water from the tap and they risk disease. Other people use water filters or buy expensive bottled water. Unemployment is the highest in the world at 43 per cent. Young people under 30 have the biggest problems with no work. The blockade has taken 50 per cent off Gaza’s GDP. Without the restrictions and Israel’s bombing Gaza’s GDP would be four times higher. The Centre for Mind-Body Medicine says that one third of children had post-traumatic stress even before the 2014 attacks. Many children were born in the blockade and lived through many bombings. With the very big problem now in Gaza, will the rest of the world put pressure on Israel to end the blockade? This page was last edited on 13 January 2017, at 16:50.